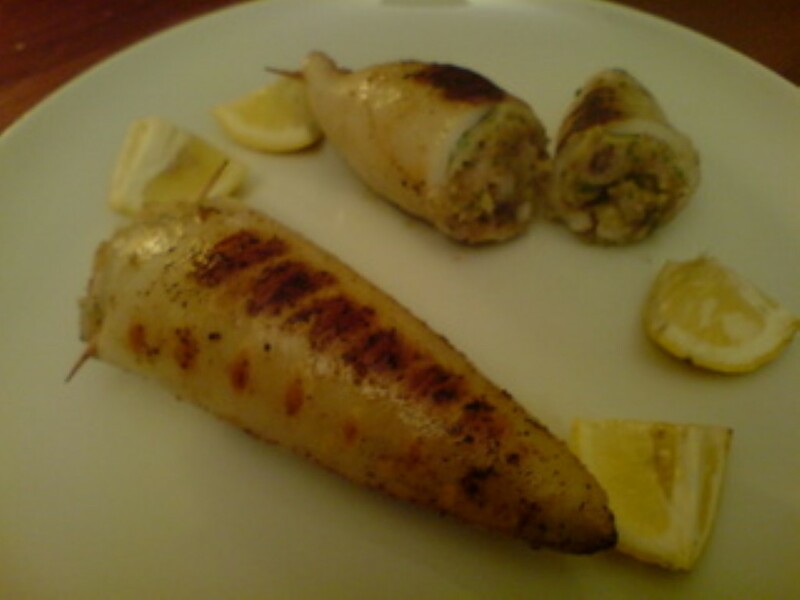 Chop the squid tentacles and wings with the parsley and garlic. Add the breadcrumbs, drizzle with olive oil and season with salt and pepper. 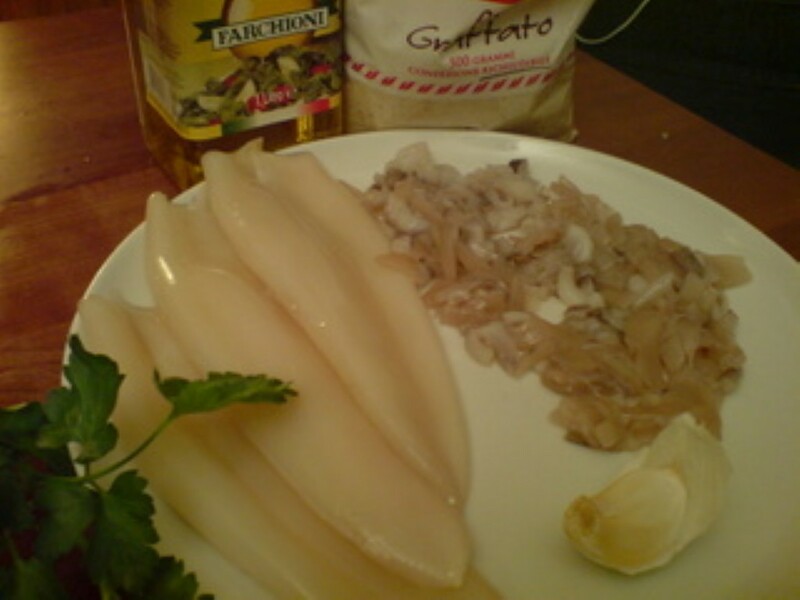 Stuff the squid bodies with the mixture and secure with a toothpick. Grill, turning frequently, until golden brown and tender. 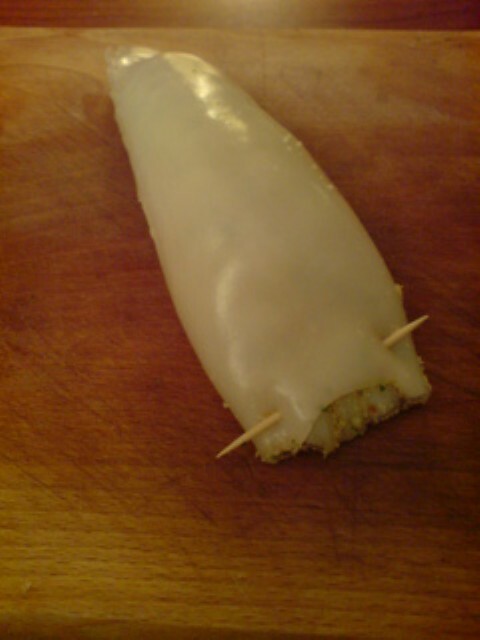 Cooking time will depend on the size of the squid. Prick the sausage and fry in a little butter until well coloured. Remove the sausages and put aside. Add the onions and garlic to the pan and fry for a couple of minutes. 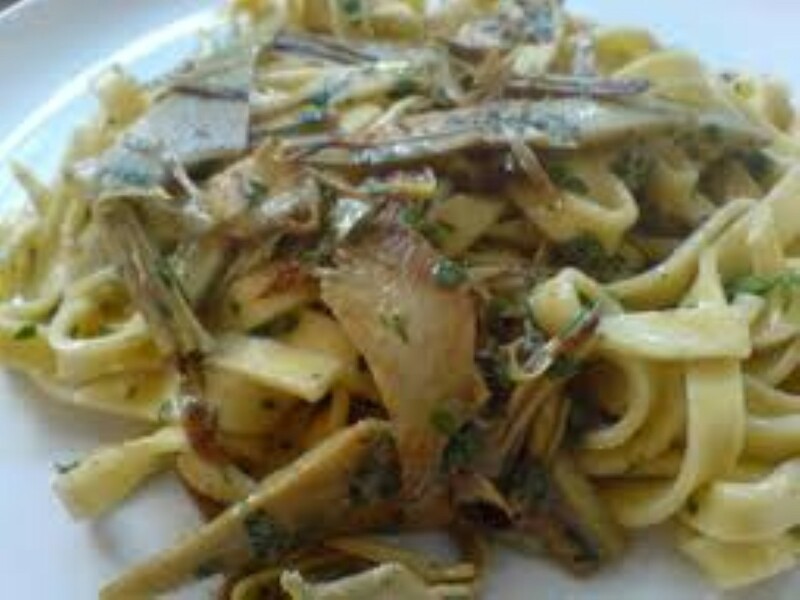 Add the tomatoes and mushrooms. Season with salt and pepper and cook for ten minutes. Return the sausages to the pan, cover and cook for a further 15 minutes.